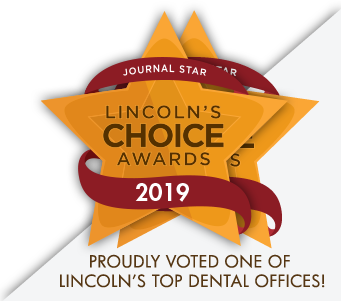 Dr. Kotopka is a proud Nebraska educated dentist, having graduated from Lincoln Southeast, the University of Nebraska, and the UNMC College of Dentistry. After dental school, he spent three years as a captain in the US Air Force, participating in an Advanced Education in General Dentistry residency that took his family to Langley AFB in Virginia and Brooks AFB in San Antonio. 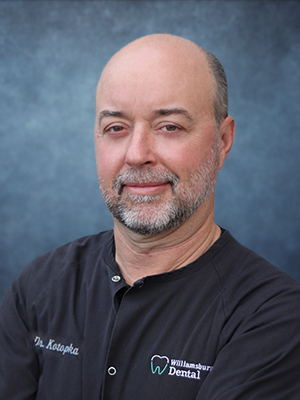 The Kotopka’s returned to the good life in Nebraska in 1997, and Dr. Kotopka has practiced in the same office 20+ years! He and his wife Ann have seven children who keep them very busy. The oldest is currently studying for his Ph.D. at Stanford, and the youngest has just recently begun school. When he’s not seeing patients, Dr. Kotopka might be found on the golf course, practicing his swing, or on the Lincoln trail system running and biking. A few years back, he achieved his goal of running a half marathon! He also enjoys being involved with his church community and reading.